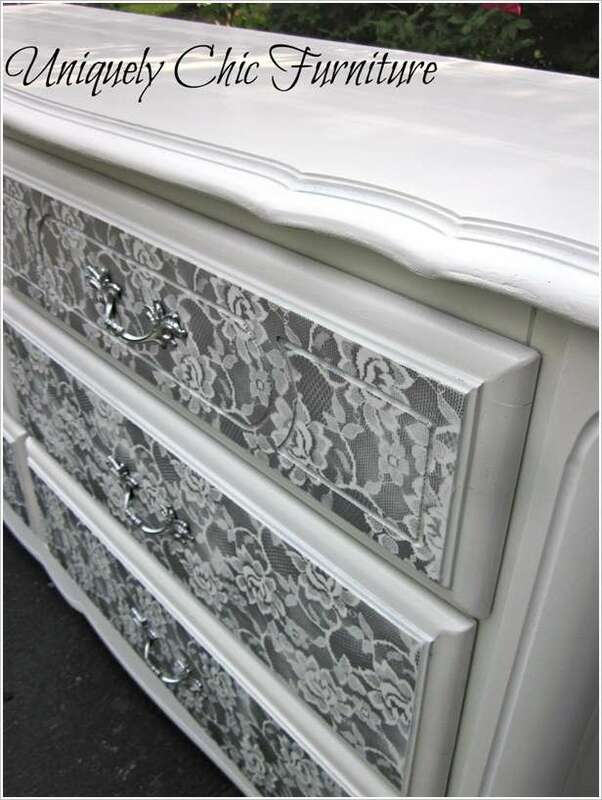 If you have an unsightly old dresser and you are thinking to get rid of it then change your plan. You can give it a budget-friendly yet a stunning makeover. 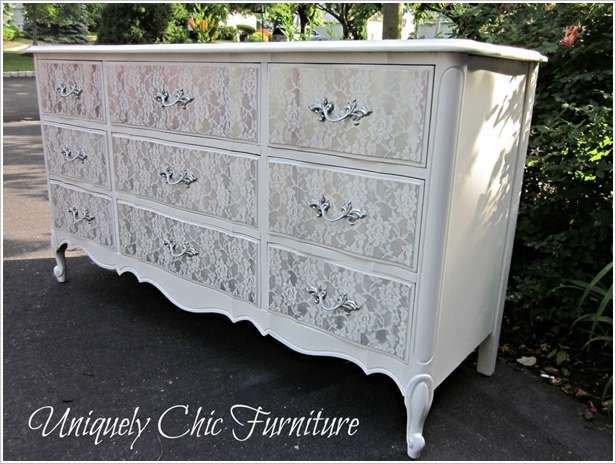 For that paint it in a solid color and simply place pieces of lace fabric over it when dried. 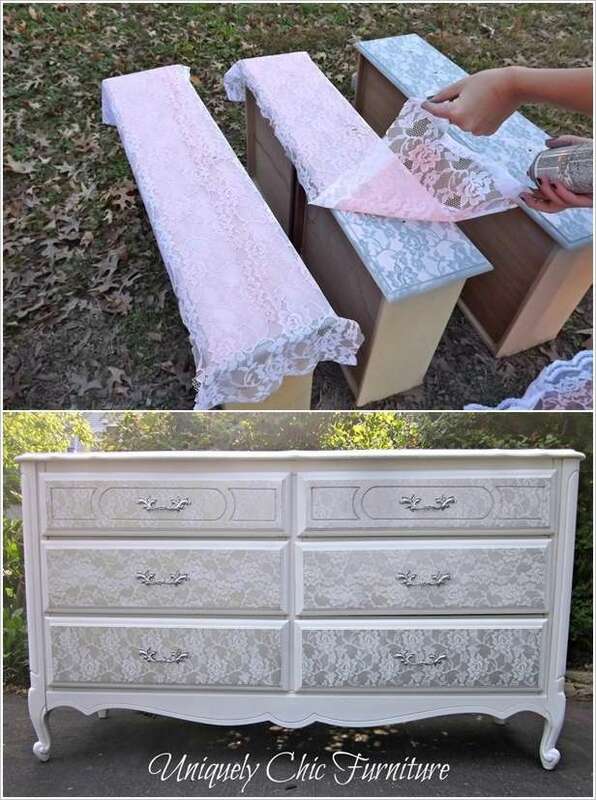 After that spray paint it in a color that is visible on the dresser’s paint. 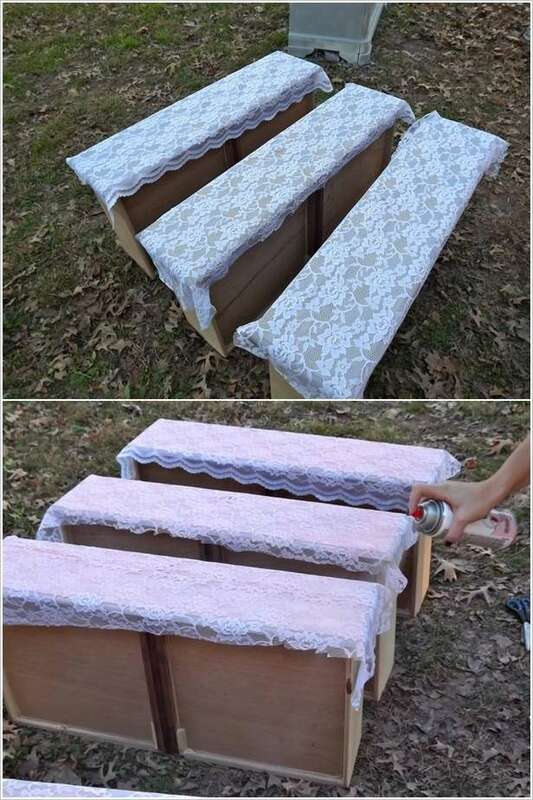 Let the paint dry, remove the lace fabric and a pattern will appear. A dresser makeover to be proud of is done. Happy decorating!